A 17-year veteran of FIS, Bob is a visionary leader with extensive experience in the payments industry. In addition to overseeing one of the industry’s leading product management teams, he is responsible for understanding and responding to the market needs of clients and their customers. Bob also oversees Payments Product Strategy and Innovation for this $3+ billion division. 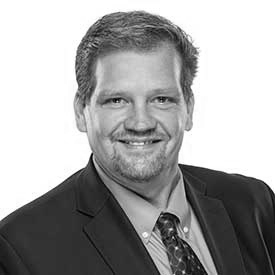 He combines an impressive depth of knowledge about current and coming trends in the payments industry with a thoughtful, solutions-based approach honed by working with clients of all sizes both domestically and in the international markets. Whether assessing client needs and providing relevant guidance, or forming new business alliances and collaborations, he is an engaging partner with the insight and strategic perspective necessary for success. Bob’s articles on growth strategies, mobile strategies and alternative payments have been published in various industry publications and is a frequent presenter on topics including disintermediation, alternative financial service offerings, EMV and tokenization strategies, and mobile payments trends. He serves on multiple industry boards and is a part of the accelerator and innovation initiatives tied to the future of the payments landscape. His efforts with clients in all aspects of Payments have been recognized through industry awards and recognition.